Let’s understand better about Tabby Award. 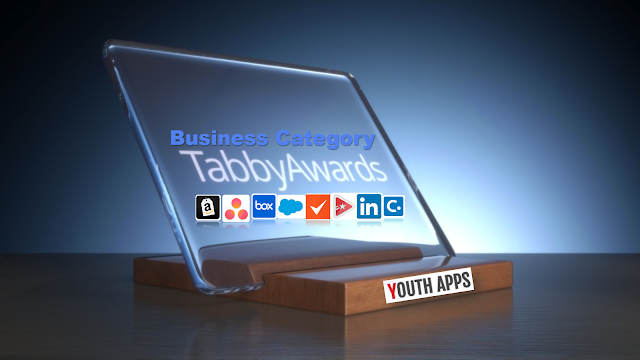 “With over 500,000 business apps available today on Android and iOS, our app award winners are positioned within the top 0.01% of a highly competitive marketplace,” commented Matt Harney, Executive Producer of the Tabby Awards. Amazon Seller App has been released by Amazon Mobile LLC Business. The app description in Google Play read as, Manage your Amazon business on the go with Amazon Seller! Analyze your sales, fulfill orders, find products to sell, manage offers and inventory, and quickly respond to customer questions. Capture and edit professional quality product photos and create listings right from your mobile device! Amazon Seller has been installed between 1,000,000 - 5,000,000 times by users at the time of this review and has an average rating of 4.3 in Google apps store. Amazon Seller app has been reviewed by 31996 Users and 20052 users have rated 5 stars. Amazon Seller app size varies from device to device and can be installed on any Android device running version 4.4 and up. Asana: organize team projects App has been released by Asana, Inc. Business. The app description in Google Play read as, Asana is the easiest way for teams to track their work and get results. From tasks and projects to conversations and notifications, Asana enables teams to move work from start to finish. It’s simple to get started, but powerful enough to run your entire business. And it’s free. Asana: organize team projects has been installed between 1,000,000 - 5,000,000 times by users at the time of this review and has an average rating of 4.2 in Google apps store. Asana: organize team projects app has been reviewed by 18719 Users and 10656 users have rated 5 stars. Asana: organize team projects app size varies from device to device and can be installed on any Android device running version 4.1 and up. Box App has been released by Box Business. The app description in Google Play read as, Winner of PC Magazine's Editors' Choice Award: "There are plenty of excellent file-syncing storage services, but, on Android, the Box app takes the cake." Securely store, manage and share all your files, photos and documents with 10GB of free cloud storage from Box. Box helps you get work done on the go. It's fast, secure and simple to use, so you can be productive from anywhere, which is the reason 57,000 businesses, including Eli Lilly and Company, General Electric, KKR & Co., P&G and The GAP securely access and manage their critical information with Box. Box has been installed between 10,000,000 - 50,000,000 times by users at the time of this review and has an average rating of 4.2 in Google apps store. Box app has been reviewed by 149910 Users and 90917 users have rated 5 stars. Box app size Varies with device and can be installed on any Android device running version Varies with device. Concur App has been released by Concur Business. The app description in Google Play read as, Keep track of your expenses and stay productive on the go. Large and small businesses can easily track business travel and manage expense reports anytime - from anywhere - with Concur. Extend the benefits of Concur's business travel and expense reporting solution to your phone while you're on the go! Simply download now and create your mobile PIN to enjoy all the functionality associated with the Concur solution you already use. Concur has been installed between 1,000,000 - 5,000,000 times by users at the time of this review and has an average rating of 4.4 in Google apps store. Concur app has been reviewed by 47745 Users and 28334 users have rated 5 stars. Concur app size varies from device to device and can be installed on any Android device running version 4.4 and up. HireVue App has been released by HireVue Business. The app description in Google Play read as, HireVue is a free tool that lets you take your HireVue On Demand Interview anytime, anywhere when invited by a potential employer. HireVue is a great way for you to interview - On Demand! You can complete your HireVue Digital Interview on your own time, when it works for you, anywhere you have an internet connection. And it's completely confidential! HireVue has been installed between 500,000 - 1,000,000 times by users at the time of this review and has an average rating of 4.6 in Google apps store. HireVue app has been reviewed by 5819 Users and 4301 users have rated 5 stars. HireVue app size varies from device to device and can be installed on any Android device running version 4.4 and up. Invoice & Estimate on the Go App has been released by Invoice Simple Business. The app description in Google Play read as, Invoice Simple is a fast and easy invoice app for sending invoices and estimates to your customers. Invoice Simple is perfect for small business owners, contractors and freelancers needing a simple and professional mobile invoicing solution. Create, send and track invoices and estimates easily on your phone. Manage all of your billing while on the go so you can get paid faster. Send the invoice before you even leave the customer! Invoice & Estimate on the Go has been installed between 500,000 - 1,000,000 times by users at the time of this review and has an average rating of 4.7 in Google apps store. Invoice & Estimate on the Go app has been reviewed by 20378 Users and 17246 users have rated 5 stars. Invoice & Estimate on the Go app size varies from device to device and can be installed on any Android device running version 4.1 and up. LinkedIn App has been released by LinkedIn Social. The app description in Google Play read as, Connect to opportunity and tap into your professional potential with the LinkedIn app. 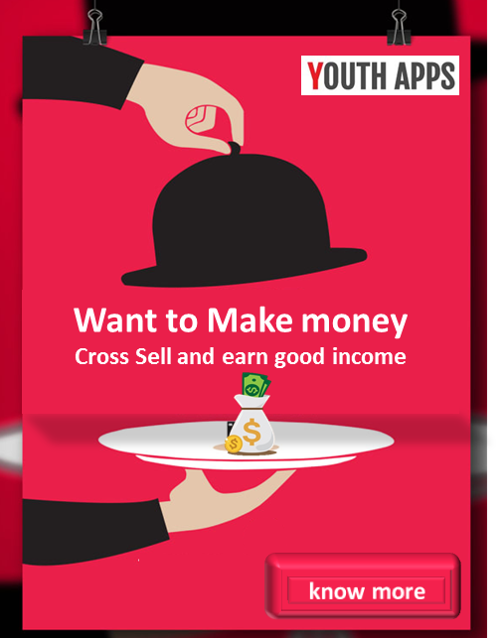 The app makes it easier to discover, connect and nurture relationships with people that matter, search and apply for jobs, and get updates on topics and companies that make a difference all on the go. This online social network is a great place connect and stay in touch with your professional relationships. LinkedIn has been installed between 50,000,000 - 100,000,000 times by users at the time of this review and has an average rating of 4.2 in Google apps store. LinkedIn app has been reviewed by 1154186 Users and 619189 users have rated 5 stars. LinkedIn app size varies from device to device and can be installed on any Android device running version 4.3 and up. Salesforce App has been released by Salesforce.com, inc. Business. The app description in Google Play read as, Run your business from anywhere. Salesforce unifies your Chatter, CRM, custom apps, and business processes in a modern mobile app. Whether you're in the office, on an airplane, or checking in from a coffee shop, Salesforce is your key to productivity. Access all your CRM data, existing customizations, and breakthrough productivity tools from anywhere. Salesforce has been installed between 1,000,000 - 5,000,000 times by users at the time of this review and has an average rating of 4 in Google apps store. Salesforce app has been reviewed by 14822 Users and 7407 users have rated 5 stars. Salesforce app size varies from device to device and can be installed on any Android device running version 4.4 and up.